Today is the first day of Spring! And I couldn't be happier. The last week, or two, has been delightful; milder temperatures, and sunnier days. Now that Spring is here, Fishpools have got me thinking about my garden. My fiance and I have lived in our house for almost four years now, and we've not touched the garden since we moved in. It's time to get some inspiration and get our garden Summer, ready. And today I'm going to share that inspiration with you! Fishpools have a wonderful range of garden furniture to choose from. 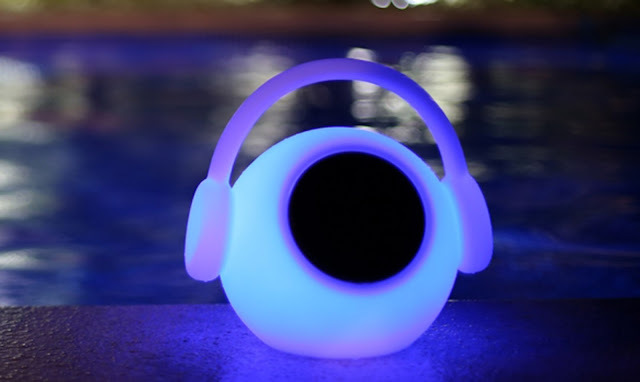 As well as the above Wazowsky LED LightSpeaker, I love their range of Rattan Daybeds. 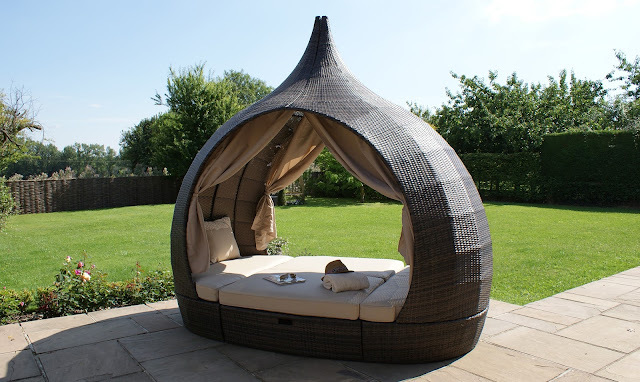 We have a wonderful little decking area right outside our French Doors, and I can definitely picture myself; stretched out on this St James Brown Outdoor Daybed With Canopy (below), book in hand! B&Q have some great outdoors storage solutions. 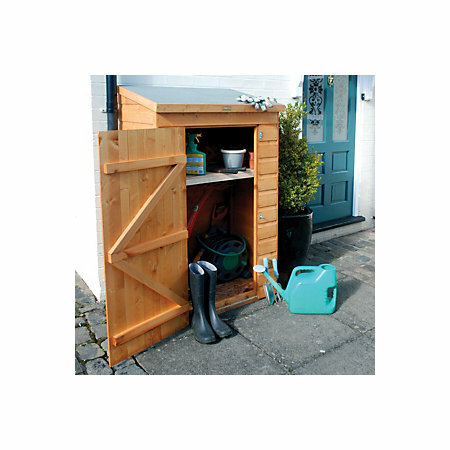 This Mini Shiplap Pent Wooden Garden Storage Unit would be perfect for storing all my gardening items in; trowel, spade, watering can! And if we could varnish the wood a darker colour, it would blend in with the fence panels. I'm not very good at growing things; flowers or otherwise. But I'd love to give growing my own veg, and herbs, a try. 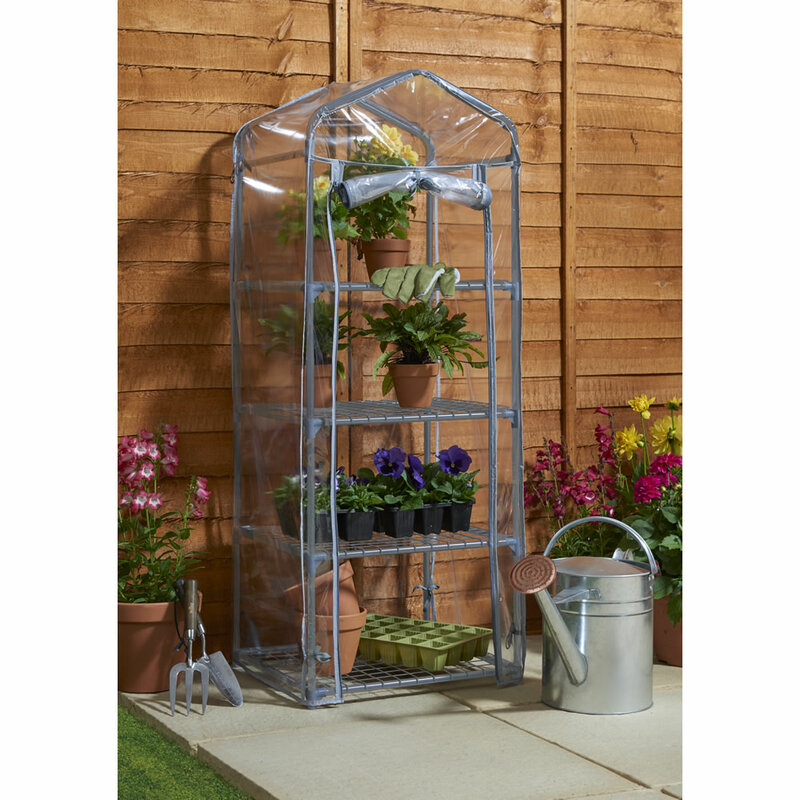 This 4 Tier Mini Greenhouse, from Wilko, would be a great start to growing my own. It wouldn't take up too much space down the bottom of our garden, either! In the last house I shared with my mum, we had a swing seat in our garden. I spent a lot of time on that swing seat; reading, listening to some tunes, or just thinking things over. Swinging sure is great when you've got a lot on your mind! So I'd love to add a swing seat to my own garden. 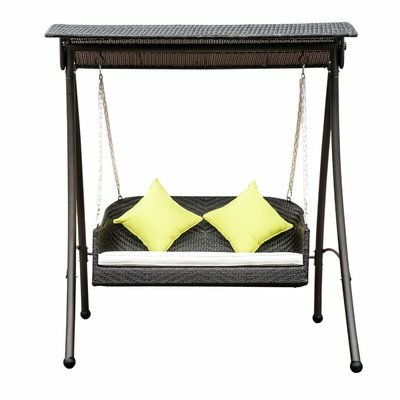 This Homcom Outsunny Swing Seat, from wayfair, would be perfect with a few cushions and a throw! What would your ideal garden look like? I've always wanted a swing like that! The day bed is lovely, too. I love that outdoor daybed! I would love one of those in my garden, a lovely reading place. Wouldn't it be the best place to read on a sunny day? !